UPDATE 5.50pm: The B855 Struan Hill Road in Portree has been reopened. A police statement thanked the public for their patience. Police Scotland are advising that the B855 Struan Hill Road,Portree, has been reopened following an earlier fire. The public are thanked for their patience. UPDATE 2.45pm: The fire has now been extinguished. The wildfire took hold around five miles from the island’s capital of Portree at approximately 8.45am today. Crews from Portree, Kyle and Lochcarron were joined by a rapid response unit from Staffin, with police closing the B855 route spanning Portree to Struan to allow firefighters to attend to the scene. The attending crew from Kyle have since left the scene after extinguishing the fire, with firefighters remaining on scene to dampen down hotspots. A fire service spokesman said: “We received reports of a fire in the open shortly after 8.45am. Four pumps were sent to the scene, with one from Portree, a rapid response unit from Staffin, and crews from Kyle and Lochcarron. 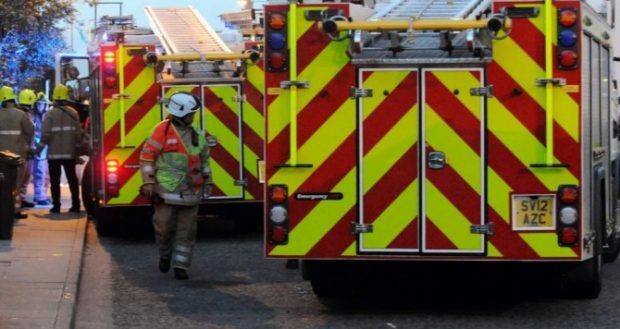 “Crews at the scene had reported that the fire front is around three to four miles long, with the incident taking place around five to six miles along the Portree to Struan road. “The fire has since been extinguished. Firefighters tackled the fire by using beaters, with knapsacks, a Honda pump and a line of 45, a type of hose used by the fire service, in use to dampen down the remains of the fire. Diversions are in place north via Edinbane and south via Sligachan for motorists heading from Portree to the north-west of the island.